Suzuki has lifted the lid on its 2018 RM-Z450 motocrosser: a redesigned engine, new frame, electronics, suspension, wheels and tyres are amongst the changes. Suzuki claims the redesigned engine has more low-end torque, a flatter overall torque curve, faster and yet more controllable throttle response, and more peak power. 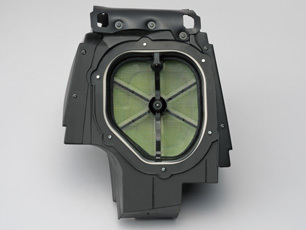 The air-filter aperture is 30-percent larger for enhanced airflow, while the outlet tube leading from the airbox to the fuel-injection throttle body is also straighter, reducing intake resistance for increased power across the rev range. The throttle body has also changed, providing a more uniform fuel-air mixture for more power while providing a smoother throttle feel. Increased fuel-pump pressure strengthens the air-fuel mix for enhanced response, and the elimination of a throttle linkage improves throttle feel. The all-new lightweight frame and swingarm significantly is claimed to improve turning performance by reloacting the pipe point 10mm back, resulting in a shorter wheelbase. Weight distribution has been brought forward to increase agility and stability. The frame has a more rectangular cross-section for the main spars to improve fore-aft rigidity and optimise overall stiffness, Suzuki has also shaved 700g of weight. 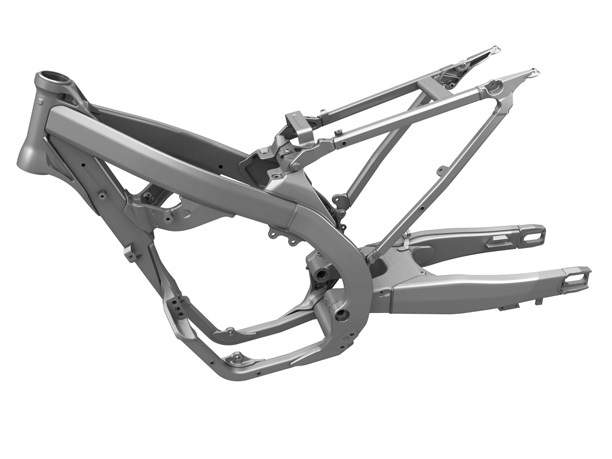 Swingarm upgrades include thinner materials for a 100g weight reduction and optimised rigidity. Additional chassis upgrades include new seat rails with hexagonal tubing for slimmer dimensions and to increase stiffness. The revised seat-rail shape also allows more airbox capacity and easier air-cleaner service. It has also provided more space to fit a Showa Balance Free Rear Cushion (BFRC) shock. 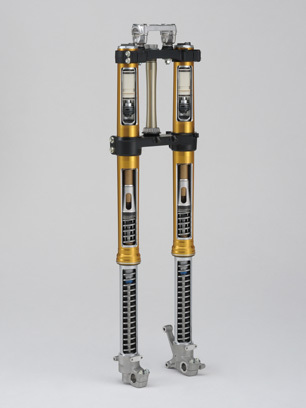 Up front, an updated 49mm Showa coil-spring fork based on works design replaces the separate function air fork of the previous-generation RM. 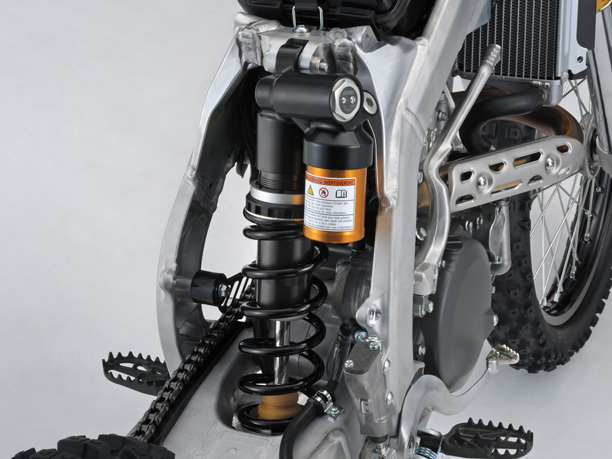 The Showa BFRC shock shares technology with the 2018 GSX-R1000R sportsbike and is also the first production motocross bike to feature this new shock seen on factory race bikes as standard equipment. The design balances pressure above and below the piston to better control the stroke and smooth out reactions to bumps and chop, even under heavy braking. Lighter wheel rims and new Bridgestone Battlecross X30 tyres maximise grip for improved agility and control in a wide range of track conditions. Finished in durable black for a factory look, the new rims have an optimised cross section, which maintains strength while also reducing critical rotating mass by 70g total. A larger 270mm wave disc up-front improves stopping performance. The third-generation electronics systems works to get as much power to the ground as possible. So the engine control module (ECM) automatically adjusts ignition timing and fuel injection based on throttle position, engine speed and gear position. 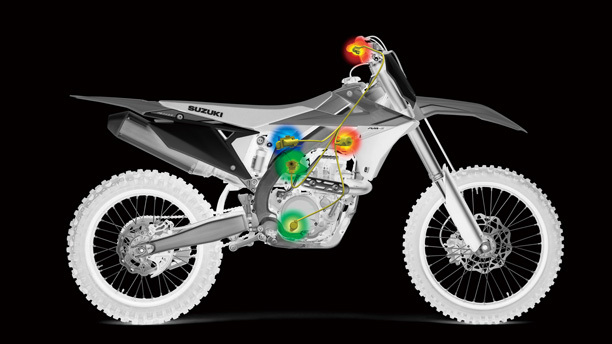 The traction management system first debuted for 2008 RM-Z450, and was revised in 2013. The third-generation traction management system’s ECU features processes data 1.5-times faster and has 2.5-times more memory capacity than the first-generation system. 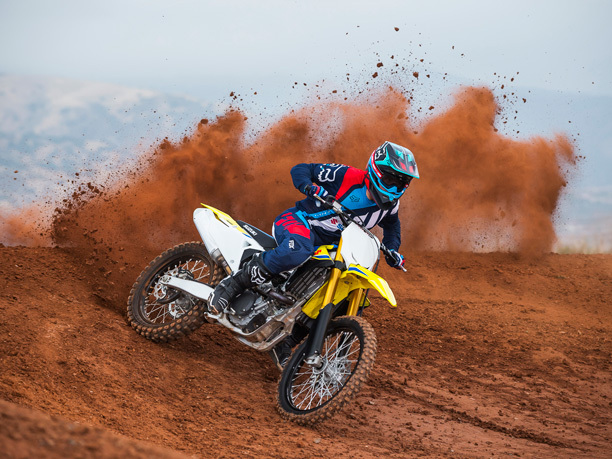 Suzuki’s RM-Z450 features Holeshot Assist Control. Three stages of holeshot assist assesses throttle position and gear selection, adjusting ignition timing to optimise engine output. 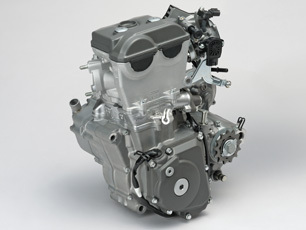 Riders can adjust the engine performance to suit varied track conditions. By plugging in either of two additional fuel-setting couplers, riders can opt for a richer-than-stock or leaner-than-stock fuel setting to make the most of any riding conditions. Included with the bike, these couplers can be easily plugged in trackside. The 2018 RM-Z450 has a fresh new look which projects a dynamic arrow form extending from the front fender through the radiator shrouds. It’s available in Suzuki Yellow with new team graphics and logos. 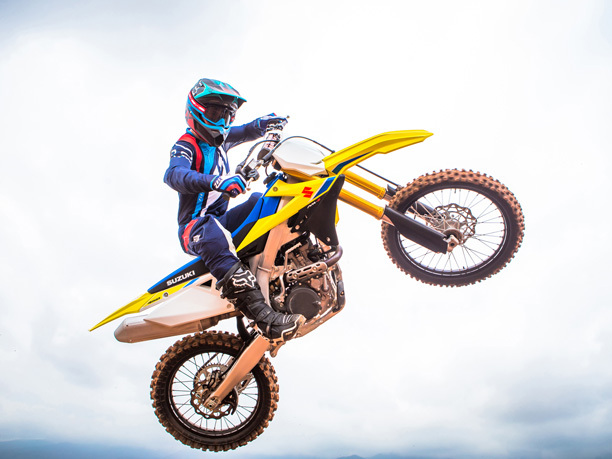 For further information on the 2018 Suzuki RM-Z450 interested customers should visit their local Suzuki dealer, who can be found through the Dealer Locator.